An area that has been on the upswing since FDR’s New Deal targeted it for economic development, Crossville Tennessee is a desirable community. Dubbed the “Golf Capital of Tennessee," the Crossville area has 12 golf courses. Many of the courses are built into the rugged terrain and are thus quite exciting. 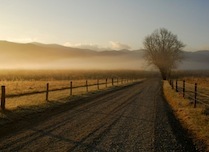 There is also great beauty and outdoor recreation from its location in the foothills of the Blue Ridge Mountains. Although services are fairly limited, there are still some offerings, such as a medical center, public library, and many clubs and things to do in this fast-growing town of just under 12,000 people. Religion is important to many people here – there are 70 churches in the area. 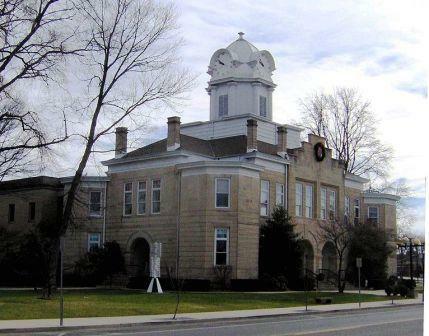 Photo of courthouse courtesy of Wikipedia and Brian Stansberry. People in retirement tend to live either in the town in older homes on relatively spacious lots, or outside of town. The area’s popularity as a retirement destination has led to several very large active adult communities including Fairfield Glade, one of the country's largest, and the Holiday Hills area. Home prices are very affordable, although as the housing market has crashed in other areas of the country Tennessee's competitive advantage has narrowed. The Crossville median home value was $142,100 in late 2018, according to Zillow. 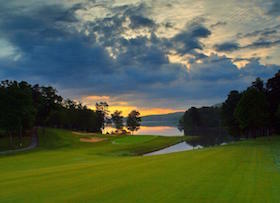 Small town with affordable living; Golf capital of Tennessee with a dozen interesting courses; headquarters of the U.S. Chess Federation; Centennial Park; Meadow Park Lake. Crossville is pretty far away from anywhere. Some people from the northeast might have an adjustment living in Tennessee. Crossville is in east central Tennessee in the foothills of the Blue Ridge Mountains. It is on the Cumberland Plateau. The average July high temp is 84 and the average January low is 26 . The wettest month is March. There are several playhouses in the area. The Chamber of Commerce has an active schedule of events including flower shows, art shows, etc. There is a public library in town as well as a 10 screen cinema. Cumberland Medical Center is the major resource. I 40 runs through town; I 75 is not far away. Crossville has a corporate airport. Knoxville's Airport is 80 miles and Nashville's is 100. Crossville is considered a very walkable community.